A couple of weeks ago I was informed that there may be some evidence on the Donna Lass postcard that has been missed all these long years. I was asked to help find a copy that didnt come from Dennis (not that we dont trust Dennis!! but because we know there are many who do not)..........thankfully I did not find 1 copy but 2. What follows is the postcard and then certain areas that are magnified and highlighted. And then you can make up your own mind. I would like to thank Sweetcheeks for this new information for it was her who found the first set of initials and her who has been working hard on this (how long I do not know) and her who pointed this out to me. See the J's...........this alone seems rather damming to me but alone it is sorta weak..........but there are more. You could make the argument that it is just a coincidental pattern in the background but when you think of the 2 J's on the front there is alot of coincidence going on here or alot of on purpose. And besides there is one more. This is the Abe Lincoln stamp on the front of the card......and it is the first thing Sweetcheeks found how she saw it I dont know I really think her screen name should be eagle eye. When she first pointed this out to me I still had a hard time seeing it. I cut out the 4ct on the stamp below and it has been flipped upside down and magnified quite a bit. In the image above the 4 and the c have been connected by a very small mark to create the initials JT. It could be easily dismissed as could the other initials on the card if there was only one set...........but we have 4 different instances on this card of a J or a JT. This is not so easy to dismiss...........and I know of only one suspect with these initials. I have tried very hard to prove to myself that this was a hoax........I never suspected Dennis or Nanette but I did suspect that someone was trying to embarrass one or both of them. I have found no evidence of digital tampering. I found the card in 3 different places one of them being this site. I do very much believe that this is authentic........I would have never posted it if I had any doubt left. Thats very interesting. So sweetcheeks is still on this? Keep up the good work. jon55, amazing! Hey, and there may be more incriminating circumstancial evidence to link Jack to Z: Partial Fingerprints and Palmprints that Zodiac Killer left behind....Jack had damage to his hands either from working at GE c1960 (info on this MB) to 1970s burns or both which would result in partial prints w/healed damaged skin. That said, there looks to be partial fingerprints on the Paul Stine letter from the old RG Zodiac book. These Stine Letter prints are not seen in the scans. ANYway, no wonder Sweetcheeks was looking at the documents with a magnifyer as one finds things like "JTs" all over the place! Thanks Bruyoc and Catseye..........this stuff is amazing to me. Long before I had ever heard of Jack Tarrance I had always thought that z would never leave any real clue to his identity I seriously believe he never for one moment wanted to get caught in spite of what he wrote to Belli..........I think the only reason he left a real clue here was because he was sure they would never find Donna's body and the postcard dosent specificaly mention her name...........in other words I think he felt secure that they could never pin her disapperance on him even if they discovered the initials. 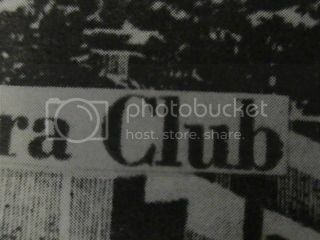 jon55, I found a clearer copy in RGs old '86er Z book of Peek Through The Pines and I got a closeup of that possible J & T over "Club". I am having a field day with comparing pics to the old letters scanned online! I thought that the few old zerox copies and microfilm copies I had were good but straight out of the old 86er (as I am now calling it), is much better and clearer! OK jon55, you and Sweetcheeks/Nanette got me searching for microscopic details in these letters that were upsidedown and maybe reversed. Someone on this MB...mummydearest?..posted about codes being placed in reverse and upside down, so, when looked at, right side up, would see something that makes sense, such as initials, phrase or something like that. Codes and mirror images to break them was used in WWII and Korean War? Jack had many years in military. Anyway, maybe that little scribble at the end of Bates Letter is something like a JW (for John Walker or Wiltamuth) or a JWT combo upside down and reversed or a Cursive T w/printed j combo? edited: jon55 and everybody, I think there's possibly another microscopic JT combo, upside down, attached to the M in "I AM" found in Stine Letter. It looks to coincidentally done to be just a scribble, esp, when saying "I AM". I posted closeup on KKASES thread. More amazing finds you guys, great job Jon, Nanette,Bruyoc, and Catseye. You all are really stepping it up as of late and I think you are definitely on to something her. 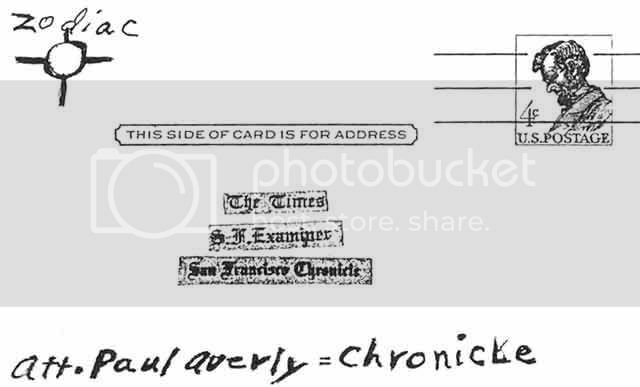 The "J's" at the bottoms of examiner and chronicle are really really intriguing, I don't see those as just some coincidence. 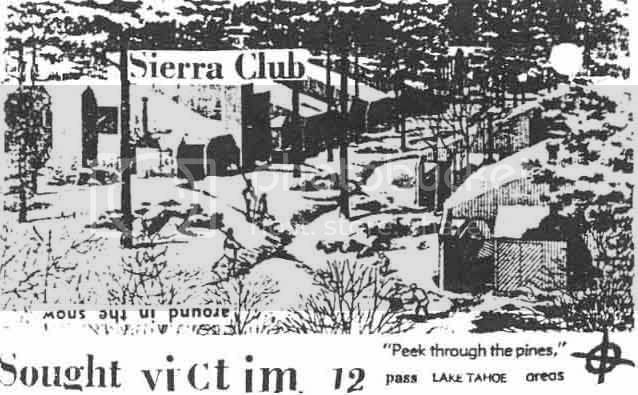 I'm not sure about the "JT" above sierra club, that could be coincidence but still possible mark by JT. Concerningthe 4cent stamp, at first I thought no way, but when magnified you see that tiny little line join the 4 and the C together, wow! Very clever if this is what JT actually did. What would be interesting would be to find another random 4cent stamp from that time and see if it may have had that line on it joining the two together....anyway of finding another pic or actual stamp from that time period?? 4c stamp is actually a pre-paid postage postcard, and it can be found on ebay under Lincoln 4 cent postcard. This particular connection does not exist, and imo red ink does not generally create artifacts like black, even blue you see loss of copy not generally an addition to. But, check it out for yourself, I was pretty blown away with it, and would love to see a color version of this card if it still exists. Tamoose I agree with you that the JT on the stamp and the JT above sierria club is fairly subjective and could be coincidence but the ones under the newspaper names I see no way that is just stray marks. You really need to get you one of those things (microscopes) LOL! I could not blow it up either, so I had to use the microscope. Nifty little gadgets, I love gadgets! I believe that others in a bigger size are probably out there. I just quit looking once I found it because I had the tools necessary to complete the exam. I think you can use a 7x magnifying glass and get a better feel for the detail.